Dam, Hoover Would be Proud! 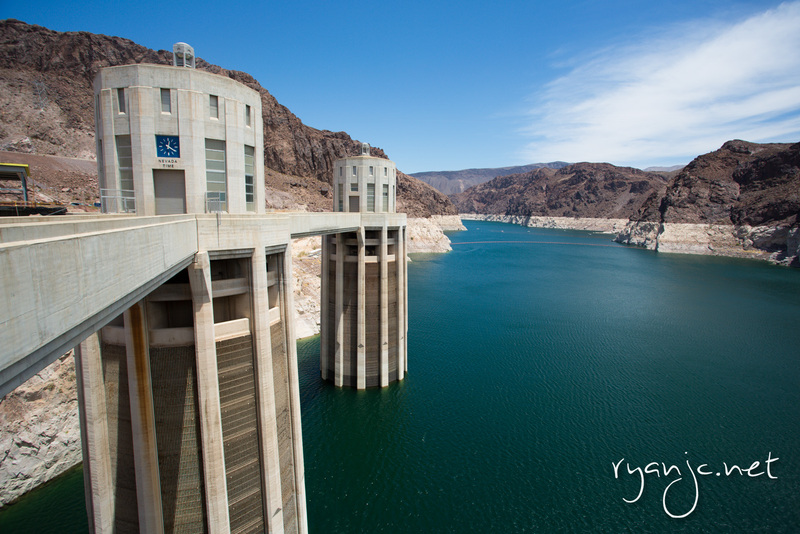 The Hoover Dam is really an extraordinary sight. If you’ve never been, it’s gorgeous and much bigger than I thought. It’s about 45 minutes from Las Vegas and well worth the trip. It’s an engineering wonder for man to be able to design, build, and maintain (and now defend) such a structure in the middle of a river. 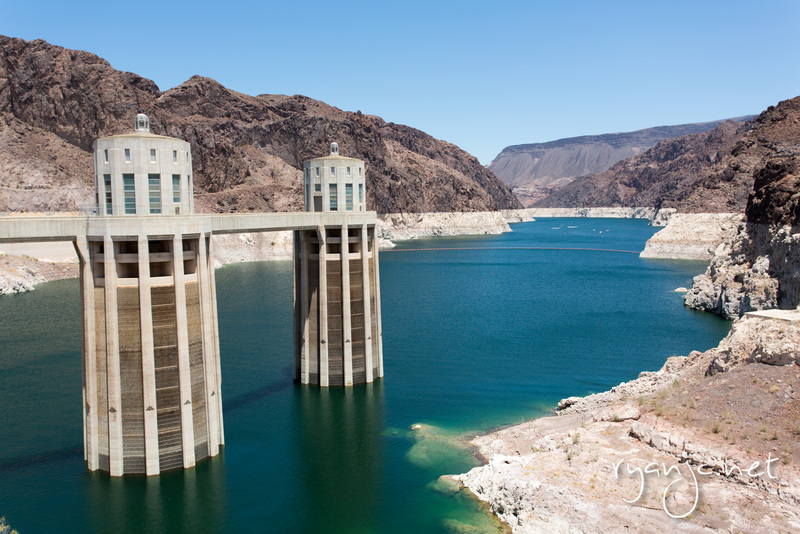 The dam took 5 years to build in the 1930s and is situated on the Colorado river, between Arizona and Nevada (two different time zones). 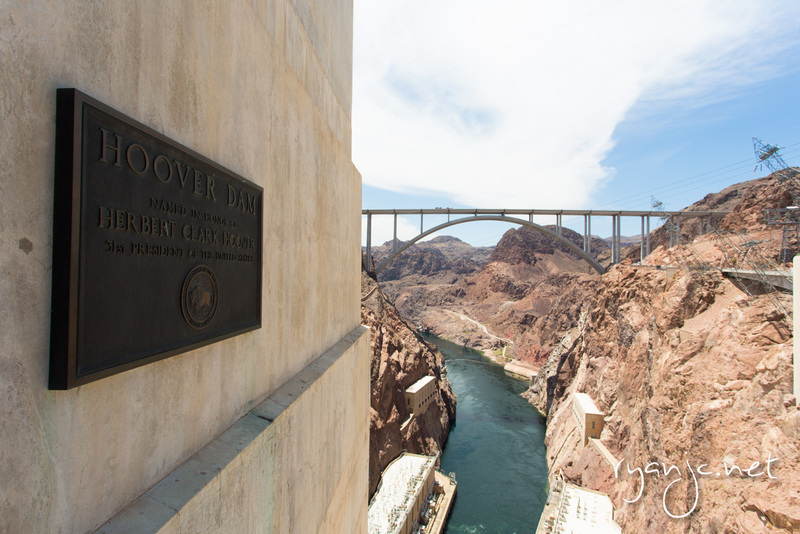 It was commissioned under President Roosevelt and named after President Hoover. Nevada time to the west and Arizona to the East. In this case, both clocks were the same because Arizona does not observe daylight savings. 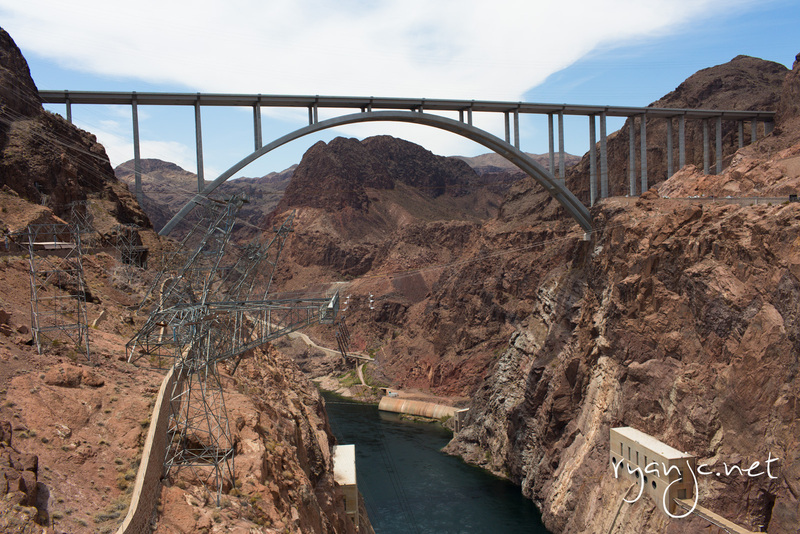 The dam holds back Lake Mead, the largest reservoir in the United States in maximum water capacity and serves all of the electricity in the local valley area and beyond (including a large part of Southern California). Unfortunately due to the more than a decade of draughts, the lake has dropped over 100 feet and is sitting critically low. From the overlook, it was quite evident how much Lake Mead had shrunken. We didn’t go for a tour because they were $11 or $30 a person depending on which you took (the dam and/or power plant), but we were able to drive across, park, and walk around. If you drive to the Arizona side and park mid way up and walk back to Nevada, you can park for free and save about $10 and see more of the dam :D.
Across the way from the Hoover Dam, is the relatively new Mike O’Callaghan-Pat Tillman Memorial Bridge that was opened in 2010 for traffic and security concerns. This way, all passing traffic would not need to drive across the dam (a security nightmare I can imagine in this day in age). This too is equally as marvelous in its design and ability to span such a distance and bear the weight of US 93.